Have you ever shared stories on your Instagram account? Do you find it very boring without background music? Maybe you have noticed some people you follow on Instagram have included music in their stories. Well there are a few reliable, easy ways on how to add music to Instagram story. To solve your problem, continue reading the article to get some solutions. The first tool you can try is called BeeCut. 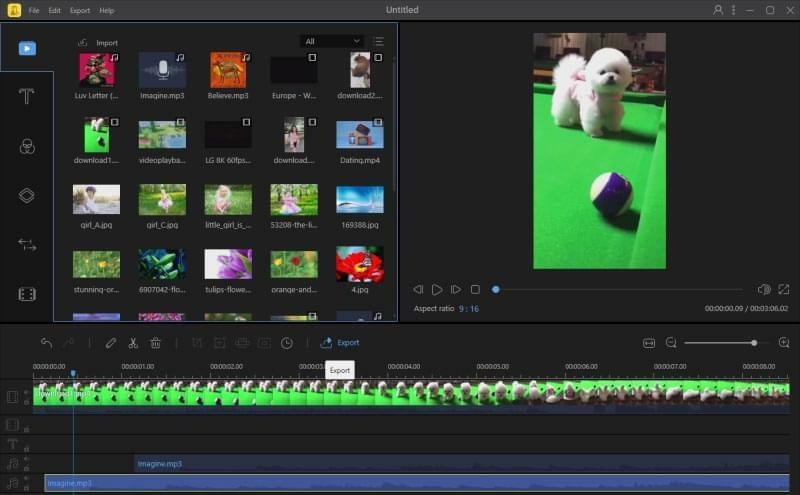 It is an all-in-one video editor which offers a lot of editing functions. With it, you will be able to add music easily and adjust the volume, fade in, fade out, and trim the sound according to your preferences. It also lets you further design the Instagram stories by adding text, filters, overlays etc. Moreover, it supports video square which is the standard size of video on Instagram. Aside from that, users can also adjust saturation, brightness, contrast, and tone. Here are the steps to add music to Instagram story using this tool. Use your computer's browser and download the program. Once downloaded, double click it to install the software on your PC. After that, run the program and select the aspect ratio. To upload the file, simply hit "Import" then "Import file" and select the file you wish to add to your project. Afterwards, the files will be displayed on the Media tab. Drag and drop the video/photo to the video track and background music to the music track. Make sure that the video and music are added to the right tracks. When you are done, simply hit the "Export" icon to save the output file on your PC. If you found it was more convenient to put music on Instagram videos using your iOS, then use the Background Music For Video app. This tool is perfectly designed for iOS users who don't like to use their PC. They'll be able to utilize the tool anywhere and anytime. Furthermore, this app works well with iOS devices like iPhone, iPad, and iPod Touch which run an iOS version of 9.0 and later. Here is the simple guide on how this app works on your device. Open the Apple Store and type the name of the app. When you've found the app, tap the "Get" button to install it on your device. After the installation, launch the app. Then, tap "Select Video" and choose the file from your device. Tap "Next", and select the audio that you want to add in your story. Choose the audio start time and then hit "Next." Tap the "Merge and Save" button to merge the video and audio and save. If you are using an Android device, you don't have anything to worry about. 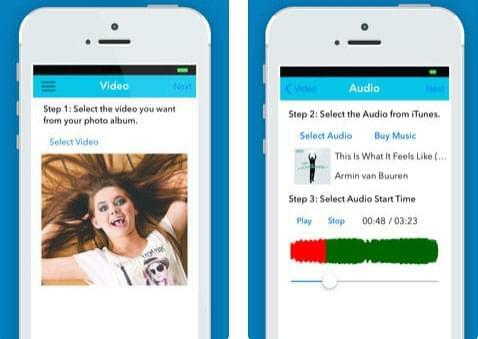 Quik will help you add music to Instagram posts on your Android device. This app lets you choose beautiful music that's right for your Instagram story. 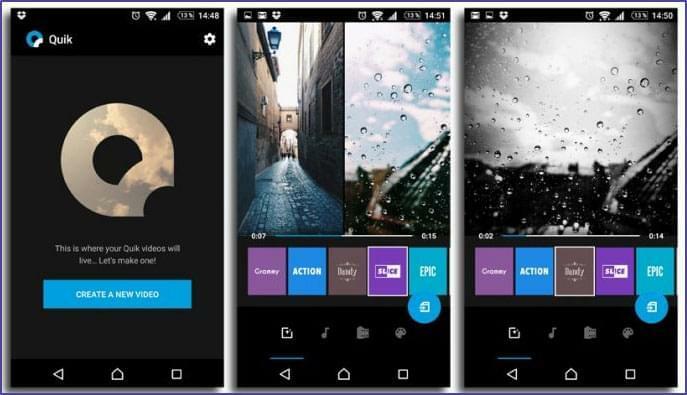 In addition, users can choose designs from the 23 themes provided by the app for their stories. Also, it offers a hundred free songs which you can choose from or you can upload and use your own music. Users can also add effects, transitions, texts, emojis and so on. It enables users to import up to 75+ photos and videos from gallery, Dropbox, GoPro Plus, Google Photos etc. To know more about how to operate the app, see the procedure below. Install the application on your device from the Google Play Store. Next, open the app then tap "CREATE A NEW VIDEO." Upload the file that you want to post on your Instagram. Select a favorite theme and then add music. 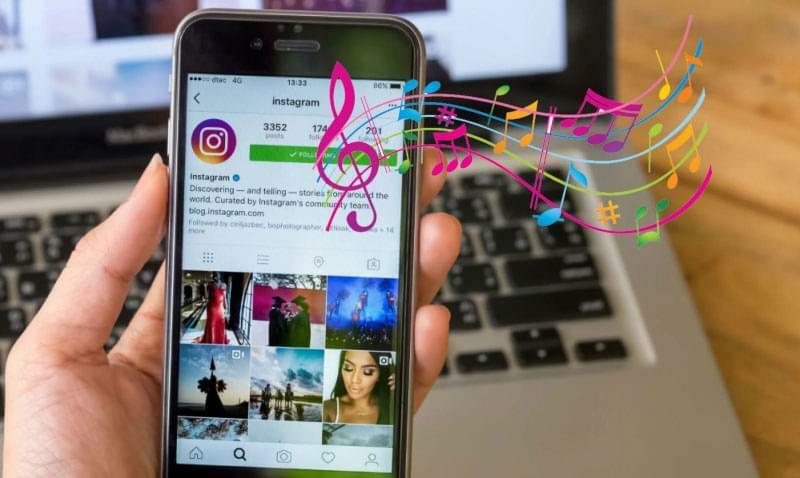 Now that you have an idea about how to put music on Instagram post, you can start making your own and share them on your Instagram account. With the help of these programs, your followers will be stunned by your stories since they have personalized designs as compared to other Instagram users. The provided tools can be used on different platforms. Please choose the most appropriate one according to your needs and taste.